DSG Waterjet is a waterjet cutting part store based in Chorley, Lancashire. Offering waterjet machine servicing to the UK. 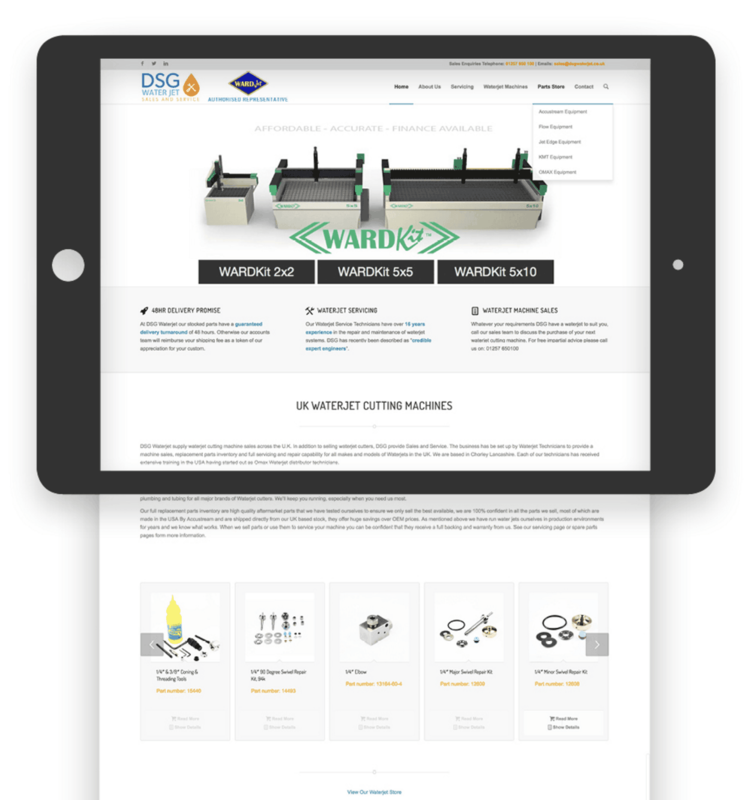 Task: DSG Waterjet required an online parts store to sell replacement parts for their water cutting machines. This very spoke industry focused on simplifying the cataloguing the products in the store to enable the users to locate the right parts quickly and easily. The site is also very informative in regards to selling and servicing their machines. Our Buckshaw Village based client approached us to build an ecommerce store. DSG Waterjet is based in Chorley and serves the UK and Europe with waterjet replacement parts and machines.